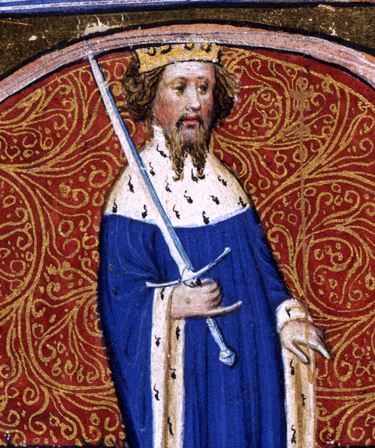 Henry IV was King of England and Lord of Ireland from 1399 to 1413, and asserted the claim of his grandfather, Edward III, to the Kingdom of France. Henry was born at Bolingbroke Castle in Lincolnshire. His father, John of Gaunt, was the fourth son–third to survive to adulthood–of Edward III and enjoyed a position of considerable influence during much of the reign of Henry's cousin Richard II, whom Henry eventually deposed. Henry's first major problem as monarch was what to do with the deposed Richard. After an early assassination plot (the Epiphany Rising) was foiled in January 1400, Richard died in prison, probably of starvation. He was 33 years old. Though Henry is often suspected of having his predecessor murdered, there is no substantial evidence to prove that claim. Some chroniclers claimed that the despondent Richard had starved himself, which would not have been out of place with what is known of Richard's character. The later years of Henry's reign were marked by serious health problems. He had a disfiguring skin disease and, more seriously, suffered acute attacks of some grave illness in June 1405; April 1406; June 1408; during the winter of 1408–09; December 1412; and finally a fatal bout in March 1413. Medical historians have long debated the nature of this affliction or afflictions. The skin disease might have been leprosy (which did not necessarily mean precisely the same thing in the 15th century as it does to modern medicine), perhaps psoriasis, or some other disease. The acute attacks have been given a wide range of explanations, from epilepsy to some form of cardiovascular disease.